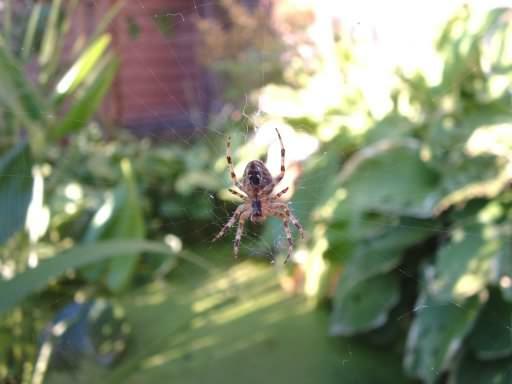 Very common garden species of Orb-web spider, especially in the autumn in Europe and parts of North America. 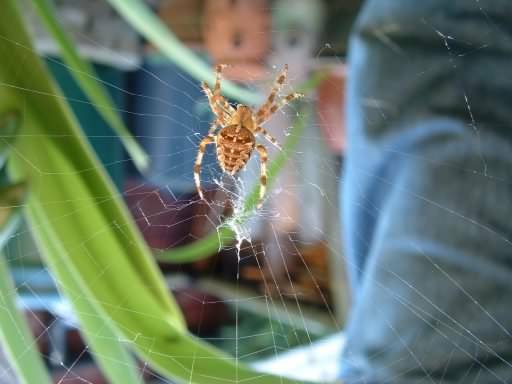 Recognised by a characteristic white patterning on the back of the abdomen forming a "cross", with a "staircase" pattern to the sides of the back, but an individual spiders colouring can range from extremely light yellow to very dark grey, males ♂ are much smaller than the female ♀ which range in length from 6.5-20mm (0.25-0.86in) while males range from 5.5-13mm (0.21-0.51in).. The white dots result from cells that are filled with guanine, which is a byproduct of protein metabolism. 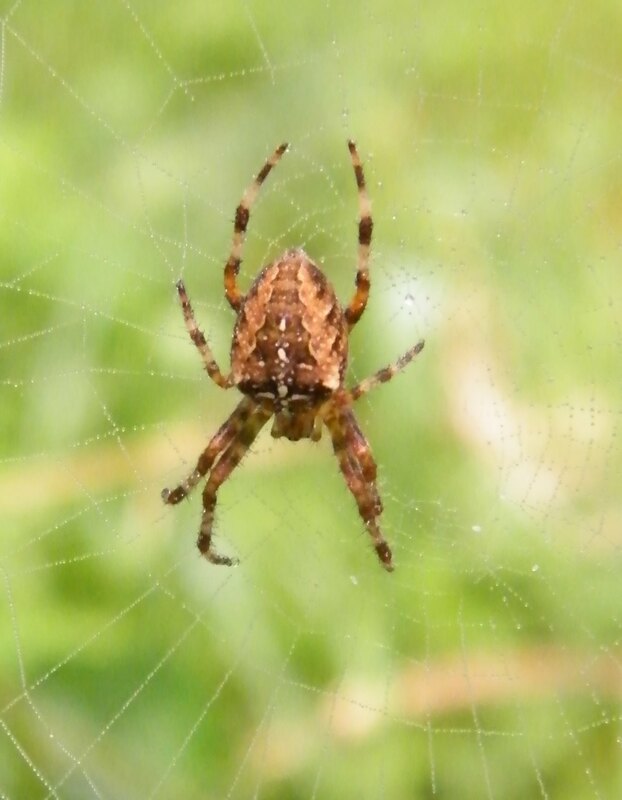 Usually found in woodlands, heathlands and gardens, although a lot of activity in their area can discourage them. They build a circular or "Orb" web and can be found waiting for prey either sitting at the centre of the web facing downwards or in a retreat at the end of a signal line held by two legs. 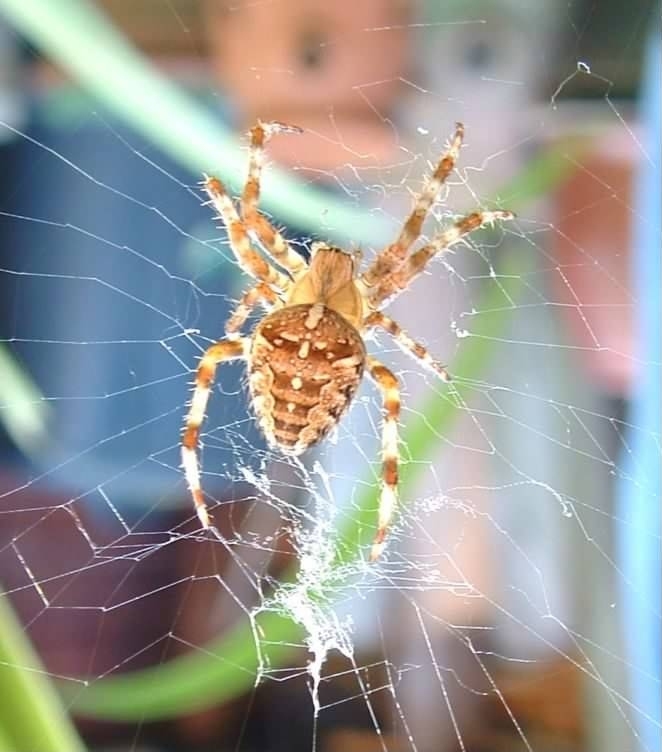 Spiderlings of Araneus diadematus are black and yellow and look almost identical to adults except for the markings. Spider silk is the almost the strongest of all fibres, even that of silk. Compared to Steel the dragline of an A. diadematus can support a weight of 0.5g, whilst steel of similar thickness will support just 0.25g.